Just like that we have four whole days under our belts! While it was raining Monday morning, it cleared off and we were left with a great week - able to get out to recess each day! The first few weeks of school are spent setting the stage for all the amazing learning that will take place in the months to come. We spent a great deal of time this week learning how to take work on and off the shelf, how to put one thing back before we begin another, how to sit for line time, set the table for snack and lunch and get ready to go outside. Taking time to directly teach these skills so helps the overall flow of our classroom. While we practiced a lot of procedures this week, we also spent a lot of time discussing being a good friend and treating each other with respect. We read several books about being a good friend including How full Is Your Bucket? 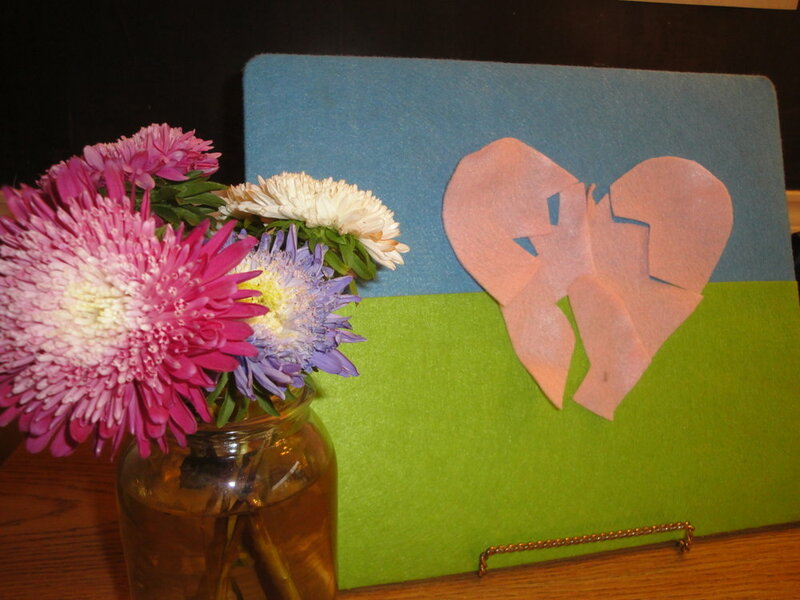 This story gives children a visual for their feelings and common vocabulary for discussing their feelings. We also have been working on the "Put Ups and Put Downs" lesson from Playful Learning. This lesson fits nicely with the story. In the lesson the children realize the power of their words on others and are challenged to give others "Put Ups"! You can view this lesson and video by clicking the link above. It would be an excellent crossover and extension if your family watched the lesson together. It would send a powerful message to your student that this is VERY important! The lesson is offered for free - you just need to put it in your shopping cart and then enter the code that will discount it to free! In the lesson, Susie has a terrible day. Her heart continues to be broken all day as other children in her class speak to her in an unkind way or tone or use their bodies to make her feel like they don't like her. When Susie's mother picks her up at the end of the day and asks about her day. . . Susie says it was horrible. This is Susie's heart. As each person did or said something unkind to her, we took a piece away. At the end we talked about how we could have changed the situation so that we could repair Susie's broken heart. 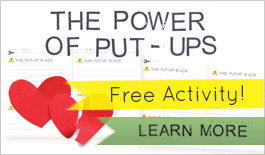 We will do more on "Put Ups" and "Put Downs" next week. Perhaps you saw many little papers come home this week with shapes drawn on them and lines and designs all over them. These are traditional montessori materials called metal insets. The insets develop fine motor control and prepare children for writing. The video below shows you how this work is used. The little bits of paper that come home may not look like much, but they are just loaded with developmentally appropriate tasks! Celebrate them! A few housekeeping items. Our Library day will be on Wednesday at 3:00. Please make sure that your child has their library book each Wednesday so that they can return it and get a new one. Please be sure to sign your child in and out at drop off. The sign in book is on top of the cubbies. If we are at the park at pick up, I will sign your child out for you. Thank you to everyone who has been cognizant of their four o'clock pick up times. This is important as it allows me to clean the classroom and prepare for the next day. Thank you! As always, any questions or concerns, please feel free to send me a note. Have a fantastic week!